HJ03 Design Context: LCAD Successes! Look what I found in the back of my Computer Arts magazine: KYLE BIBBY. 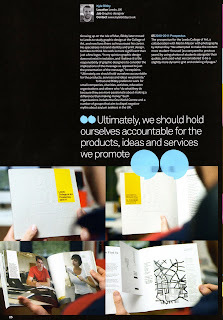 Newly graduated students from my uni already in magazines, good job! A mention of Merlin Mason too. I'm feeling an odd sense of pride for my university right now.